...you will never want to leave sailing! With Sailing Catamaran Yachts. With us! - they are more stable and they do not rock back and forth making everyday activities more pleasant. - they are faster than a similarly sized monohull. - most catamarans have twin engines which makes them easier to dock. - they have shallow drafts so they can anchor almost anywhere. There are also a few disadvantages over a monohull in that, when underway, monohulls do not pound or slap, under sail, a monohull preforms much better and they are much cheaper to haul and slip. Cats do not go upwind as well as monohulls. You won't get much closer than 45/50¾ to the wind, going upwind. However, going off the wind is what the cats are all about - you should sail at a speed of about 50% of the true wind. There is no heeling to give a feel that the boat is over-canvassed. Because a cat offers less resistance to the water, it takes more time to slow down than a monohull. The main difference with a monohull is that a cat has two engines, one in each hull which makes maneuvering extremely easy. 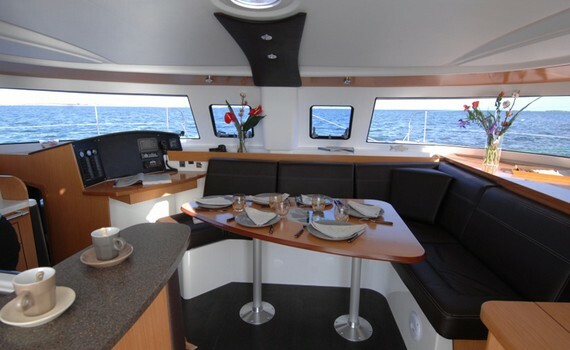 Comfortable living, easy sailing, spacious and great performance catamaran - a great choice! 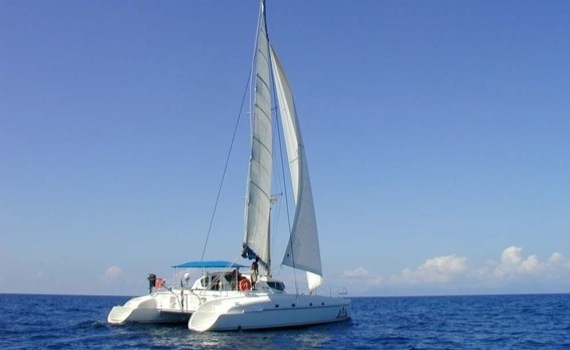 Fast, comfortable, luxurious and safe catamaran with perfect panoramic view. Very popular model for charter. 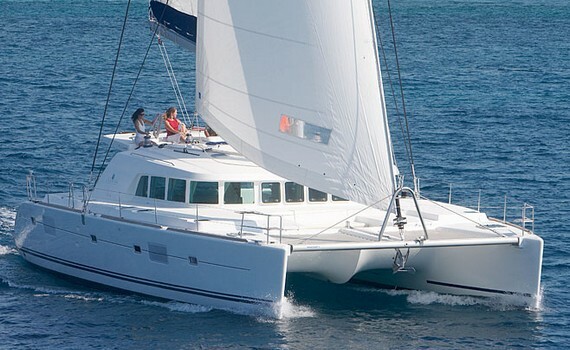 One of the most popular cruising catamarans. Hop on and sail into an adventure! Easy to maneuver. 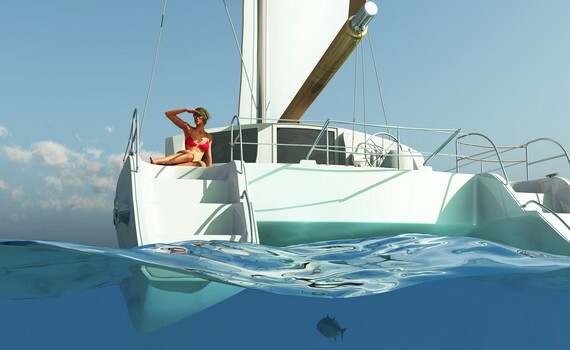 If you want to find out more about the differences between catamarans and monohulls, check out our other pages on monohull sailing boats and get to know them in more detail. Hanse Yacht Selection gives you information on how to choose a Hanse sailing yacht and what its top features are, as well as where to go aboard a Hanse yacht. Dufour Yacht Selection presents Dufour sailing yachts and their features together with top charter destinations. Bavaria and Beneteau are popular brands offering not only sailing but also motor yachts, as well as Elan and Jeanneau yachts. Explore your options for a wider choice!